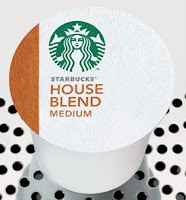 Head over here and enter for a chance to win a 1-year supply of Starbucks K-Cups. There will be 1,000 winners! Ends 9/30/12, 18+, U.S. only.